Article 370 in J&K not temporary provision, say SC: What does that mean? Days after the National Conference announced its decision to not participate in the panchayat and urban local bodies (ULB) elections, the party on Saturday threatened to boycott the assembly and parliamentary polls too if the Centre does not take effective steps for protection of Article 35-A. Article 35-A, which was incorporated in the Constitution by a 1954 Presidential Order, accords special rights and privileges to the citizens of Jammu and Kashmir and bars people from outside the state from acquiring any immovable property in the state. It is facing a legal challenge in the Supreme Court. "How can we go to our workers and ask them to come out to vote? First, do justice to us and clear your (Centre) stand (on Article 35-A). If your plan is that (weakening Jammu and Kashmir's special position), then our ways are separate. Then we cannot have elections. 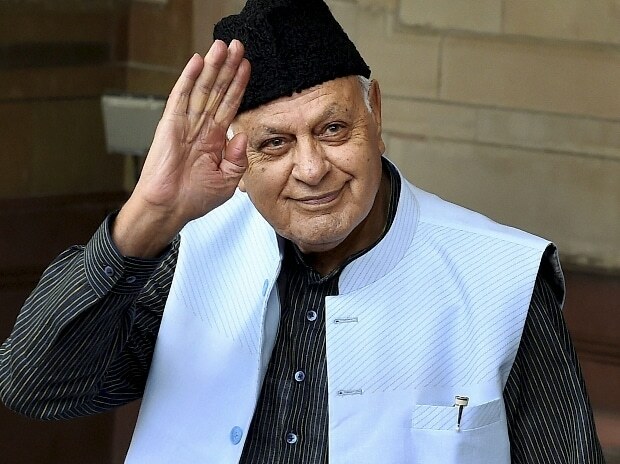 Not only these (urban local bodies and panchayat) polls, but we will also boycott the assembly and parliamentary elections then," NC president Farooq Abdullah said here. The former chief minister said his party was not running away from polls, but wanted the Centre to do justice with the people of Jammu and Kashmir first and take effective steps for the protection of the state's special position. "On one hand they (Centre) want to conduct polls here. On the other hand, they want to revoke Article 35-A, Article 370 has been weakened and there are also attacks on the (Jammu and Kashmir) Constitution," Abdullah said. "First they should have talked to us. They should have called every leader that they plan to conduct polls and asked for our opinion. They did not. The prime minister, like Hitler, announced on 15 August from the Red Fort that elections will be held in Jammu and Kashmir," he said. The NC president also trained his guns at National Security Advisor (NSA) Ajit Doval over his statement that having a separate constitution for Jammu and Kashmir was probably an "aberration". "Their (Centre's) intentions are not right. They never were. The NSA has said that a separate constitution for Jammu and Kashmir is an aberration. I want to tell him from this stage that if the constitution is an aberration, then this accession (of Jammu and Kashmir to India) is also an aberration," he said. "On one hand they tell us that we are their crown, but on the other hand, they put that crown in their feet So, they have to think. They cannot control this state if they cause any further problems here. If they want this state together with the country, then they should stop what they are doing," Abdullah said.